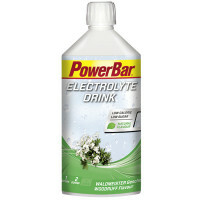 Many people taking part in sports or exercise want to have a sports drink with low calories and therefore drink water. 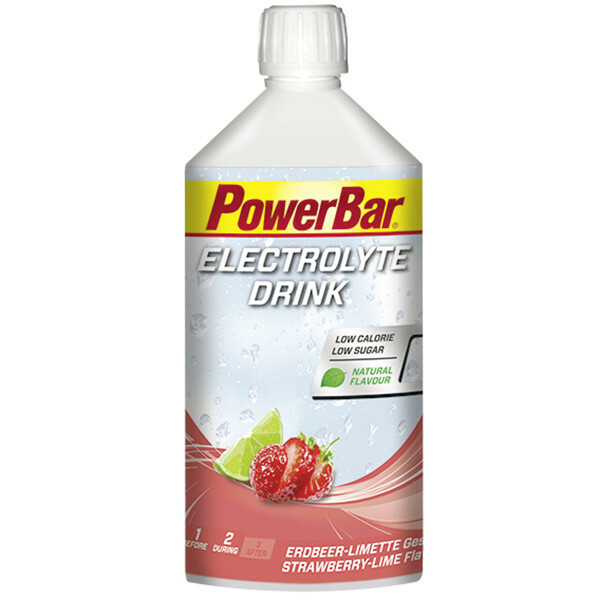 But when you workout you sweat, and that sweat contains water plus electrolytes likesodium, which is essential for body fluid balance. 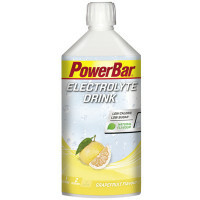 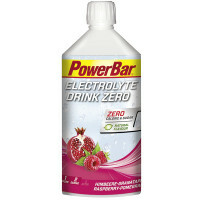 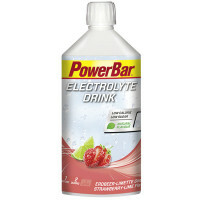 PowerBar ELECTROLYTE DRINK is the ideal refreshment for sport activities as it provides the body with key electrolytes sodium and magnesium and is low in calories – available in even two flavours with ZERO calories and ZERO sugar! 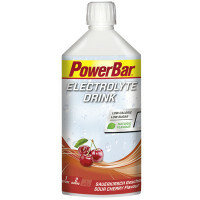 Invert sugar syrup, water, acid (citric acid), acidity regulator (sodium citrate), black carrot juiceconcentrate, magnesium carbonate, sweeteners (cyclamate, acesulfame-K, saccharin), natural flavouring,sodium chloride, preservative (potassium sorbate). 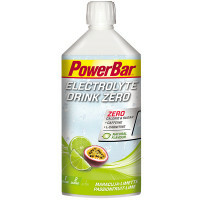 Mixing instruction: Add 480 ml of cold water to 20ml concentrate (press pump 5 times).